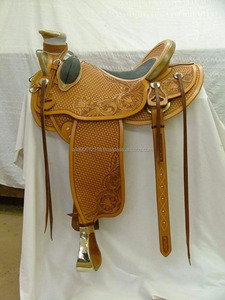 This is a top quality Leather western saddle and its realy a unique saddle made by our company Nehal Leather works . This saddle is beautifully accented with hand carved tooling . 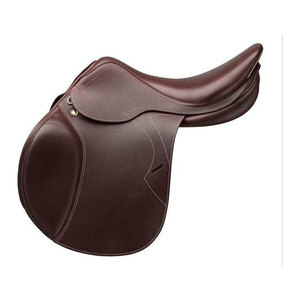 The well-padded suede seat and stirrups ensure ultimate comfort for the rider, as well as the well-padded fleece underside for horse&rsquo;s Comes with package. COLOR:- BLACK , BROWN , TAN , CHERRY. SIZE:- 10" to 18" MADE BY "- 100% LEATHER , TREE BASED WOODEN / FIBER , SS FITTINGS. Treeless Saddle Horse Saddles we, Happy Horse a family owned equestrian business from 3rd generation has been speiclised also in treeless saddles. the main reason to focus on treeless saddles is to give horse & rider a dream imagination and to avoid from rigid treed into it. 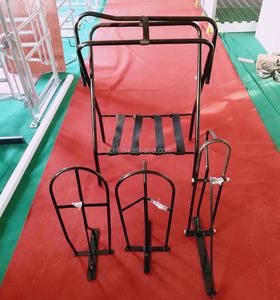 we are now going to dispaly 3in1 treeless saddles for importers,buyers to give advantge for dispalying the worthable item for increasing revenue. Gaotang Huitong Machinery Processing Co., Ltd.
We encourage you to shop the market place and compare prices. We are confident you will agree, our prices not only can't be matched; but are lower than those of any other manufacturer. We hope you are pleased with our catalog selection. Horse Racing Saddles in leather and synthetic . For the non-EU deliveries, it might take a few extra days for the customs clearance in the destination country. And there's a slight possibility that you'll pay some extra taxes and duties, when you'll receive the shipment. If you are asked to pay them, please understand there is nothing I can do about it. 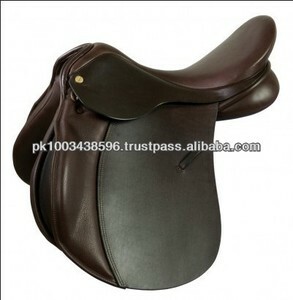 we make all kind of horse riding saddles and other horse riding products. 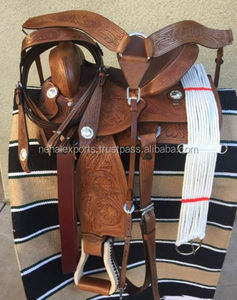 Western Horse Back Riding Saddles. 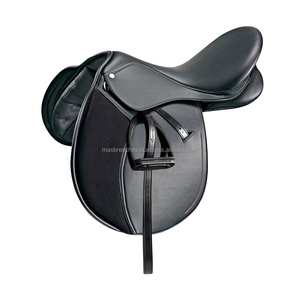 TREELESS SADDLE ON SYNTHETIC NUBUCK TREELESS SADDLE MADE ON SYNTHETIC NUBUCK AND AIR MESH FABRIC LIGHT WEIGHT WITH MAXIMUM STRENGTH INSIDE AIR MESH LINING DOUBLE LOCK STIRRUP BAR. DETACHABLE SEAT ON VELCRO DETACHABLE PANNEL. DIFFERENT SIZES AND COLOR AVAILABLE. Sheepskin is placed on the underside of the saddle, covering both the tree and the underside of the skirts. Usually features a deep, padded seat that allows the rider to sit quietly and give the appearance of a smooth ride. We are dedicated and hard working to ensure that the product is delivered on time and is of the best quality. In addition to this, we also have a foolproof quality detection section for error-free production. We hope to build pleasant long term business relationship with more customers. If you are interested at our company please feel free to contact us! IAB INTERNATIONAL Saddlery is one of the India's leading manufacturer of hand- made saddles Like Dressage, Jumping, Close Contact and Western saddle. Our range of high quality saddles are sold throughout Germany and exported to over 20 countries world-wide. A family run business with connections to the saddle trade going back 30 years. THIS IS FIRST QUALITY SYNTHETIC TREELESS SADDLE COLORS ARE AVAILABLE SIZES AVAILABLE PONY AND ADULT. The company ensures that the products are made of superior quality raw materials. So each of the products are carefully crafted and undergoes stringent quality checks from conceptualization till the final stage of production. 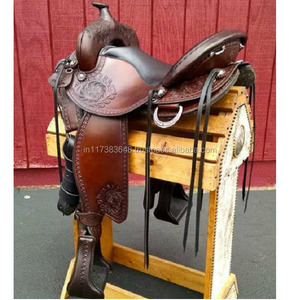 And all this careful process ensures that what you get are the best products in its range. .
Alibaba.com offers 16,358 horse saddle products. About 27% of these are saddles, 26% are saddle pads, and 21% are other horse products. 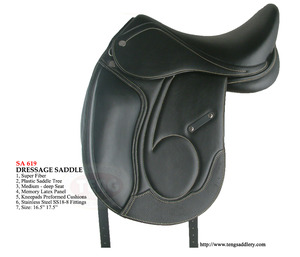 A wide variety of horse saddle options are available to you, such as free samples, paid samples. 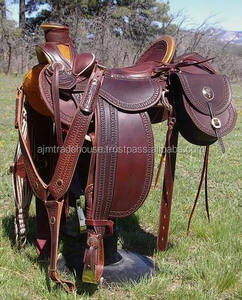 There are 15,379 horse saddle suppliers, mainly located in Asia. The top supplying countries are China (Mainland), India, and Pakistan, which supply 45%, 37%, and 15% of horse saddle respectively. 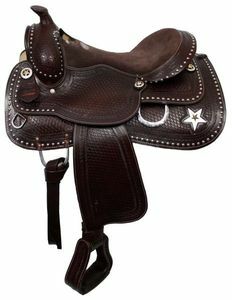 Horse saddle products are most popular in Western Europe, North America, and Eastern Europe. You can ensure product safety by selecting from certified suppliers, including 1,428 with Other, 1,223 with ISO9001, and 55 with ISO14001 certification.